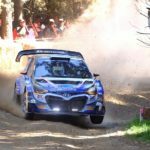 This weekend Kiwi WRC star Hayden Paddon tackled the iconic Ashley Forest Rallysprint in his revamped Hyundai i20 AP4+ rally car for the second time. The car, dubbed Barry 2.0, was in +++ mode according to Paddon with a new 2.1-litre engine, improved aero package and engine management system. Saturday saw Paddon and a few other top competitors allowed only.. 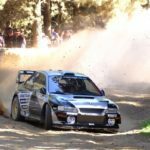 The iconic Ashley Forest Rallysprint will be streamed live this weekend for the first time in more than 30 years. While it won't be a big television production of previous live telecasts, a mulit-camera live-stream feed will be available during the two days of competition and for the knock-out finals on Sunday afternoon. The live-streaming is the brainchild of MoMac Socialising Media..
Sloan Cox is going all out to defend his Ashley Forest Rallysprint title over the weekend of 22 and 23 September. 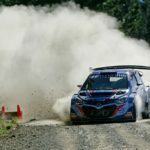 The Ratec Motorsport Club-run event has gained a mighty following over the years and this year’s battle between Cox as the 2017 winner, Kiwi WRC driver Hayden Paddon and Scottish rally star Alister McRae is set to be one..